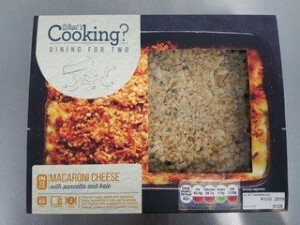 Laila’s Fine Foods Macaroni Cheese with Kale and Pancetta produced for the Lidl What’s Cooking? range, won gold in the Best New Meat-Based Product award at this year’s British Frozen Foods Federation Annual Awards. Another Laila’s product, Lemon and Black Pepper Chicken Fettuccine for Iceland Foods also won gold in the Best New Poultry-Based Product category whilst the Foodservice version of the Macaroni Cheese with Kale and Pancetta product was awarded a bronze in the Best New Multi-Portion Product category. The annual ceremony, which was held at the Hilton Hotel in Park Lane, London, saw experts from across the frozen food industry come together to celebrate the best in new product innovation, with winners selected by consumers. Judges were looking for products that delivered; great eating quality, appealing appearance, recipe integrity, product dependability, ease of preparation and service and packaging ease of handling from outer case to finished product. Judged by representatives of the Craft Guild of Chefs, both the quality and packaging concept of the product were noted for outstanding merit. Laila’s Fine Foods have been producing chilled and frozen ready meal products to the foodservice and retail market since it was founded in the kitchen of Laila Remtulla in 1987.